Embracing the Andes, the Amazon and over a thousand miles of Caribbean coast, Venezuela offers a wonderfully varied introduction to the sights and sounds of Latin America. From Angel Falls, which cascades nearly a kilometre from one of the table-top mountains that may have inspired Conan Doyle’s Lost World, to the snow-capped peaks of the Andes, via plains and cloud forest, Venezuela is above all a display of exuberant nature. High in the Andes, villagers eke out a living growing produce and crafts to sell in the markets of delightful colonial towns like Mérida. Musical talent is everywhere, from cowboy harpists to salsa and merengue bands and the life-enhancing Simón Bolívar and El Sistema youth orchestras. Venezuela’s rich biodiversity guarantees superb wildlife watching. Mangrove, jungle, savanna and cloud forest sustain countless endemic and migratory species. 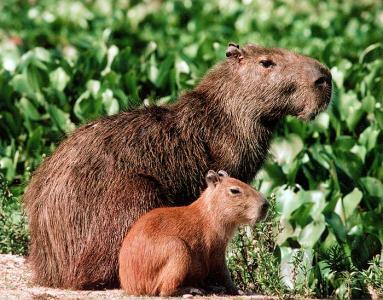 Manatees and river dolphins inhabit the sprawling Orinoco delta, while the Llanos flood plains are prime territory for birds, caimans, capybaras and giant anteaters. On the coast, endless sandy beaches are perfect for quiet getaways, either on the mainland or on islands like the Los Roques archipelago. Snorkelling and diving are exceptional too - corals, caves and wrecks creating dazzling playgrounds for exotic marine life. Spanning north-eastern Colombia and western Venezuela, the rugged Llanos is 'the' place to see wildlife - 300 species of birds, jaguars, ocelots, anteaters, honey-bears, capybaras and caimen roam this vast, tropical grassland plain. Remote, primaeval, nature at its most intense. 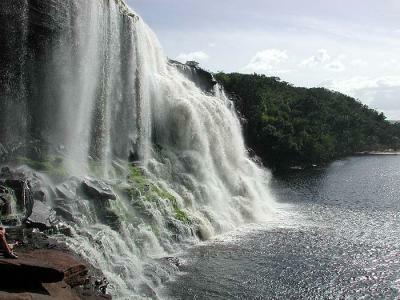 Canaima and Venezuela's 'Gran Sabana' are largely untouched by tourism, despite Canaima being home to Venezuela most visited destination - The mighty Angel Falls, highest waterfall in the world. 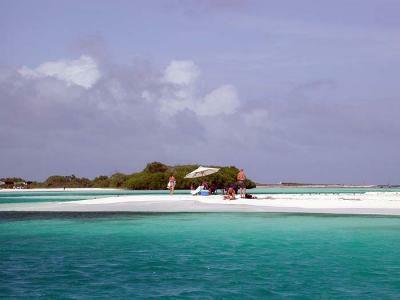 The archipelago of Los Roques is just idyllic - nearly 300 white sandy islands, many of which are uninhabited offer a myriad of stunning deserted beaches surrounded by aquamarine water perfect for snorkelling, diving and bone fishing. As it is only just north of the Equator Venezuela has a hot climate all year. Increasing altitude in the Andes can mean cool nights and the coastal regions are hotter with very little rainfall at any time. There is a rainy season from May/June to October when short tropical downpours can be expected, and this is consequently a good time to see the waterfalls. Yellow fever recommended. Malaria necessary if visiting the Amazon region or southern Llanos. You should be up-to-date on tetanus, typhoid and polio. Not required for most nationalities for 60 day stays. The local currency is the Bolívar. Banks and exchange houses (Italcambio is the largest chain), will change cash and travellers cheques (which should be in US Dollar denominations rather than Sterling). Some hotels will also change money, though not at such good rates. While travellers cheques are no doubt safer, in the interior it may be impossible to change them, so some dollars in cash are to be preferred. The black market should be avoided due to there being an official exchange rate currently. American Express is the best known credit card, but Diners, MasterCard and Visa are now accepted. It is increasingly possible to obtain money with ATM machines, but we have had reports of fraud. Although a part of the state telephone company (CANTV) has been privatised, the service is overloaded and telephoning can be very frustrating, particularly in the larger towns. Smaller towns tend to be better for international calls, as there is less competition for lines - the time of day can also have an effect. Having said all that, the country is linked by a Direct Dialling network. The exit code is 00 and country code 58 (for incoming calls). Local calls are cheap and international ones rather expensive. Always check prices before using the telephone at hotels, as they often mark up international and long-distance calls considerably. Phone cards (tarjetas) are available, which can be used at many public phoneboxes, most are capable of making international calls. If you have a BT Chargecard then take it. You can dial 800-11440 (free) from any telephone and will be connected straight to the BT operator in the UK. The international code for the UK is 44. The language is Spanish, apart from the various Indian communities in the interior. In the larger cities you will find people who speak English, but not in remoter parts. Any effort to learn or brush up on your Spanish will be repaid many times over. Most Venezuelans are Roman Catholics. Traffic drives on the right, the speed limit off the motorways (not usually respected) is 80 km/h, and a valid UK driving licence is all that is required to drive as a tourist, provided you are at least 18. An International Licence is not strictly necessary, but there is no doubt that in remoter areas the translation and photograph do make it look a bit more official.